This was taken yesterday during our visit to a summer fete at the school Becky will be going to in September (more in a separate post). 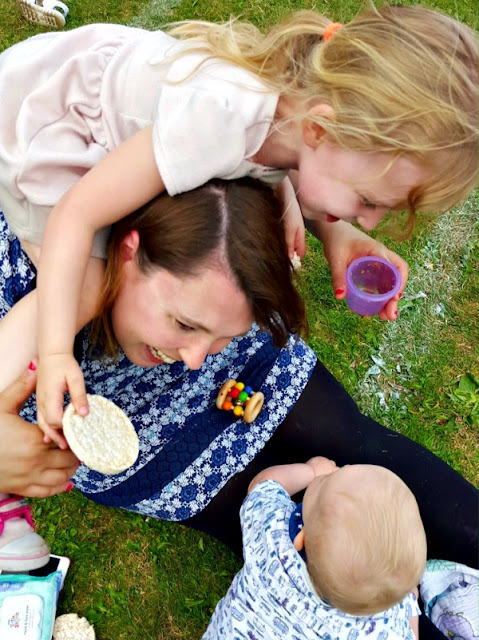 I was trying to feed Alex while he preferred to climb on me, while Becky joined in, turning Mummy into a climbing frame. Little moments of bliss and pure happiness. Thank you! It makes me, smile, too, they are such monkeys! It is, it's the little moments that are the happiest. Thanks Darren!